Knowing your current emotional bandwidth extends beyond saying no to an engagement. Saying no when you don’t wish to do something is the first step in helping you establish boundaries. What I’m talking about here is when, even after you’ve grounded your energy multiple times, and you still feel worn out. Lately, I’ve been witnessing a higher than average amount of people – not just lightworkers – push themselves beyond their emotional capacity for extended amounts of time. I’ve done it. When you are feeling like your circuits are fried, and you continue to push yourself, you are disconnecting yourself from your body and heart. Sometimes it becomes a pattern, so we begin to get used to a particular type of suffering, and it, unfortunately, becomes second nature. This way of existing is not the true order of things, and the energy you wish to embody can be accessed at any time. Emotional Bandwidth is the ability to know how you are honestly feeling in a given moment. It also includes accepting responsibility for your energy management, which is understanding the limit to the amount of information your system can handle. Staying present and asking for assistance from Spirit and loved ones is the key to being able to see and feel the signs. Your body will let you know when you’ve bumped up against your limit. If you feel as though you can’t see the signs from Spirit, get quiet and up your self-care game. Treat self-care as if it’s your J.O.B.! Additionally, recognizing the emotional bandwidth of others can help you preserve relationships. I’ve unknowingly done it – calling someone to complain about the same topic over and over without being open to a solution. I was quite literally draining their energetic system. As Lee Harris and the Z’s say, we are the most powerful forces in our lives. 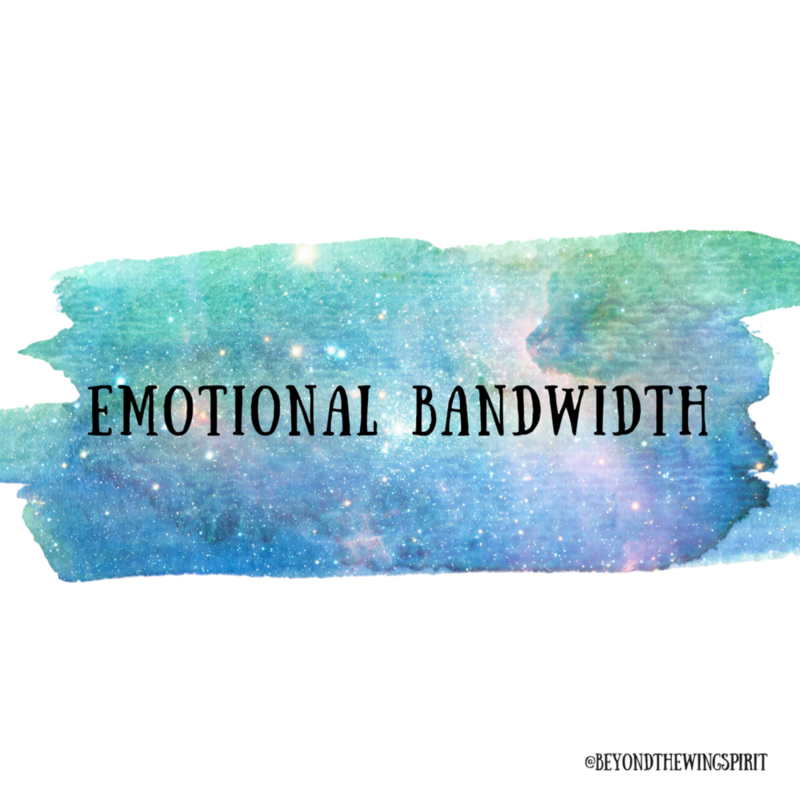 So ask yourself, where does your emotional bandwidth begin and end?